The Congress party has moved adjournment motions in the Lok Sabha and Rajya Sabha over the issues of Rafale deal, demonetization and the tussle between the Centre and the Reserve Bank of India (RBI). 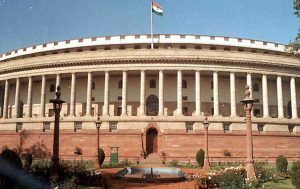 Congress MP Ranjeeta Ranjan has given the adjournment motion notice in the Lok Sabha over the RBI issue and demonetization, while the party MP Sunil Kumar Jakhar has moved adjournment motion notice over the alleged Rafale scam. The Aam Aadmi Party (AAP) has moved adjournment notice in Lok Sabha as well as Rajya Sabha over the MCD sealing in the national capital. The Parliament’s Winter Session began on December 11 but the first day was adjourned without transacting any business as a tribute to some sitting members who passed away during the inter-session period. 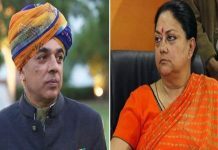 Given that government formation in three states – Rajasthan, Chhattisgarh and Madhya Pradesh – is yet to be finalized, there is a very little chance that much business will happen in both Houses of Parliament at least for this week.